We taste new things all the time. It’s what we love to do most. Every once in a while we encounter something that really stands out as special. This is one of those things. 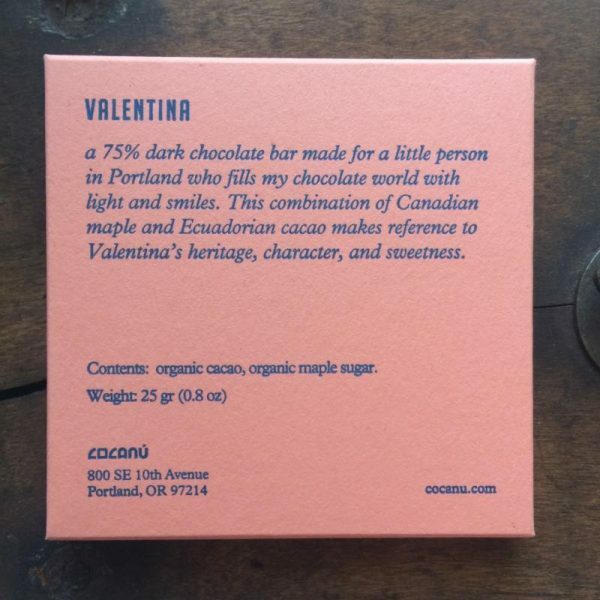 Introducing Valentina from the brilliant mind of Sebastian Cisneros at cocanú. 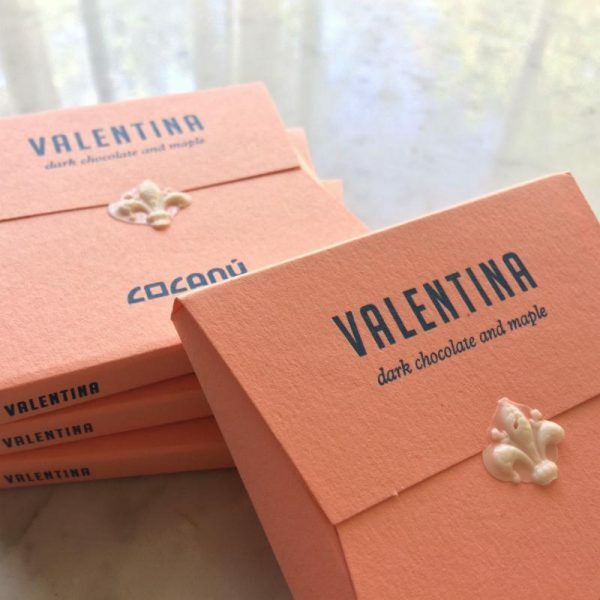 We’ve been waiting for a long time to have an alternative sugar chocolate in our store and we’ve refused to compromise. Surpassing our wildest expectations, this chocolate love story is one of our favorite bars. We can’t stop eating it. This limited first batch is only available at Cacao and directly from cocanú. 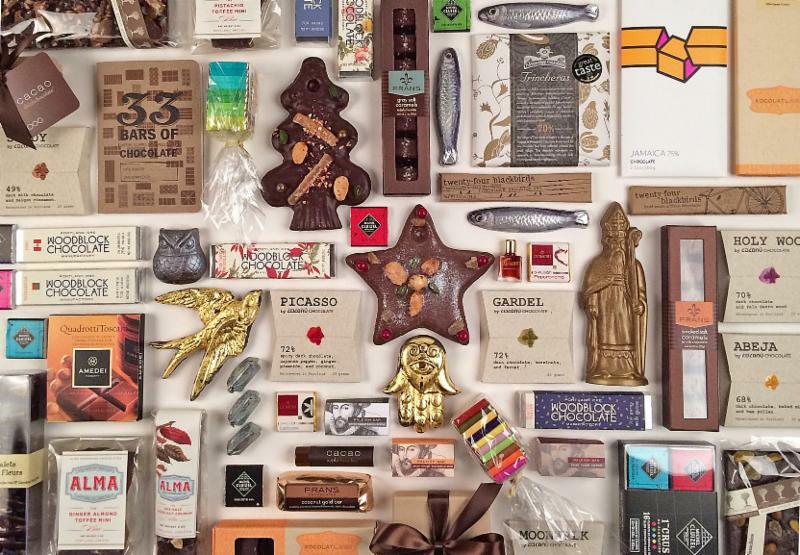 and Venezuelan makers Cacao de Origen and Franceschi!). The season is off to a great start!